Taking the time to explain why the Rosary is important, and your efforts to make this beautiful tradition of the Church relevant to your teens, really will make a difference. Convincing a group of teenagers to sit still and pray the same prayers over and over again isn't always an easy task. Youth ministry really can be incredibly fun. Meeting new people, playing games, and going on trips can be an important part of any solid youth ministry program. 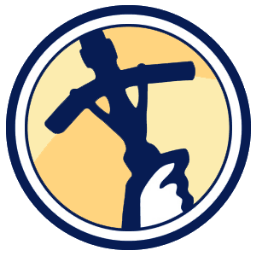 However, leading the teens to form a real relationship with God and teaching them how to live the Catholic faith has to be the central element of any solid, Christ-centered youth ministry program. Teenagers can play games and hang out with friends anywhere and on their own time, but youth group needs to be different than any other club or group in order to make an impact, and to become a priority in already busy lives. It's tempting to pack youth group meetings with sports and games to attract kids and keep them “happy,” and believe me, I've been there. It's easy to seek the instant gratification of smiling, laughing teens that leave a fun-filled meeting proclaiming that “Youth group rocks!” It's also tempting to recoil from the potential rejection that accompanies proposing a “boring” activity. When we as youth ministers reflect on our mission and examine our priorities, we know that leading the teens to God is more important than running a frisbee tournament, even one of epic proportions. Through trial and plenty of error, I've come to find that a good structure for a youth ministry program is one that is consistent, simple, and that allows for lots of teen participation. Teens also like to know what to expect. Props, videos, music, and flashing lights can serve a purpose, but a regular routine that consistently incorporates an element of prayer can be a good way to get young people used to praying on a regular basis. Socializing, fun activities, and prayer can all be part of your program, but each in moderation, and with purpose. Most Catholics are very familiar with the rosary as a form of prayer to the Blessed Mother Mary in which the Our Father, Hail Mary, and Glory Be prayers are repeated while different events from the lives of Jesus and Mary are contemplated. Blessed John Paul II encouraged recitation of the rosary during his papacy, even saying that it was his favorite prayer. But how can we even attempt to convince already skeptical and easily bored teenagers that the rosary is relevant today? I first started praying the rosary regularly with my youth group when I was in high school, and I know how important that exposure was to me. Through my own experiences with my youth group, I came up with a few different tips that can help make the rosary part of your youth group meetings. 2) Start small: Start by praying one decade a week—but don't stop there! Once your teens become comfortable “rosary pros,” encourage them to take on the challenge of the entire rosary. 3) Active participation: Get everyone involved! Model how to lead a decade (the leader announces the mystery and says the first part of each prayer). Then choose five teens to lead the five decades. 4) Pray with purpose: Why do we pray? What is prayer, and what is its purpose? Many teens do not pray because they don't understand the purpose, or even how to pray. Review the section of the Catechism on Christian Prayer (Part 4 on the Vatican's website) and incorporate it into your explanation of prayer and the rosary. 5) To Jesus Through Mary: In the meditations and prayers of the rosary, the Blessed Mother is leading us to Jesus and teaching us about her son. The Scriptural rosary incorporates Scripture passages that accompany the mysteries to each prayer of the rosary. 7) Make your own: Rosary Army is a 501(c)3 non-profit Catholic organization that promotes making twine-knotted rosaries and distributing them. While I cannot guarantee that your teens will never complain about praying the rosary at youth group (I wish! ), taking the time to explain why the rosary is important, and your efforts to make this beautiful tradition of the Church relevant to your teens, really will make a difference. This article was contributed by Jessica Harris.